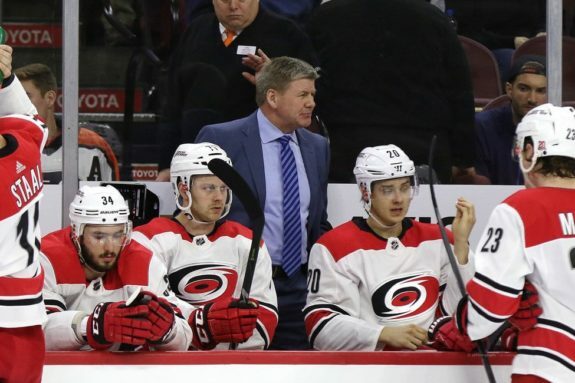 It was not so long ago that Calgary Flames head coach Bill Peters was in the identical role much further down south in North Carolina. His four-year tenure with the Carolina Hurricanes was anything but boring, even though his goal for the team to make the playoffs eluded him the entire time. Now Peters is in prime position to make a statement in the upcoming NHL Playoffs. 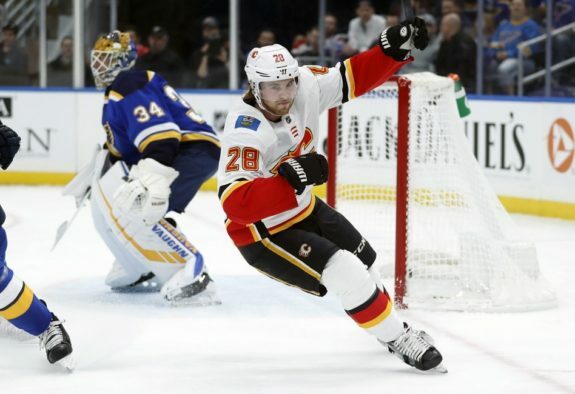 His Flames are the number one seed in the Western Conference, having finished the 82-game season with a record of 50-25-7. 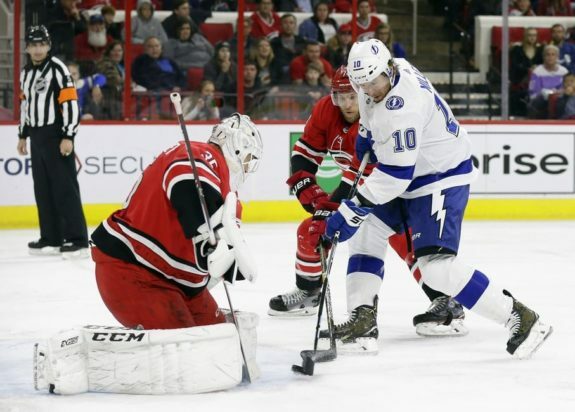 They have 107 points and a plus-62-goal differential, second in the NHL only to the Tampa Bay Lightning whose goal differential is a stout plus-103. 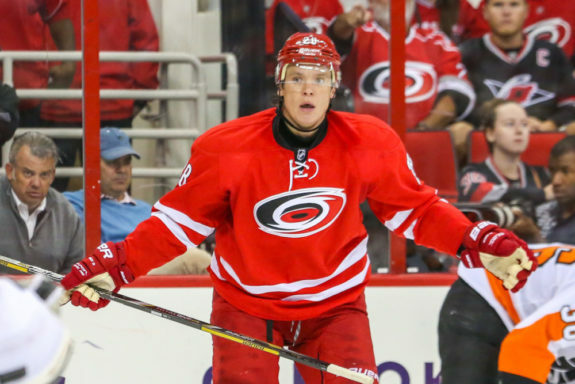 For those who may not be familiar with “the Peters years” with the Carolina Hurricanes, a brief history will set the table for where he was and what he has accomplished now. When Peters arrived in Raleigh, NC prior to the start of the 2014-15 season, it was on the heels of the Kirk Muller three-year failed experiment. 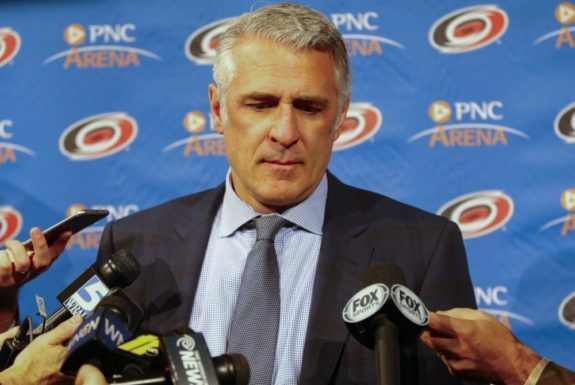 The fans were ready for a change and Ron Francis said Peters was the man to deliver a return to the playoffs. Bill, Meet Ronnie. He’s a Rookie, Too. Francis? Peters also arrived at the start of another experiment. Long-time general manager Jim Rutherford had just stepped down from his position and long-time fan favorite and member of the Hockey Hall of Fame, Francis was named the new GM. Peters walked into a situation with a new, untested general manager, a team that had not had a winning culture in years, and an owner who was actively trying to sell his team. By the Way, Bill Your Owner Wants Out. Peter Karmanos had not been shy about publicly stating that he wanted out of his position as majority owner of the Hurricanes. So a first-year head coach in the NHL dives into the deep end with a first-year general manager and an owner who probably was not going to spend a lot so as not to discourage potential buyers with a lot of large, new contracts on the books. When the history on Peters is written, it should include the realities that he was facing, albeit with eyes wide open. He knew what he was getting into and went for it wholeheartedly. Peters had a stable of young talent on the Hurricanes. Yes, there was the veteran team captain, Eric Staal and his brother Jordan Staal. But, Jeff Skinner was still a young gun with more raw skating talent on the edge of his blades than half of the rest of the entire league. Victor Rask was an emerging good player, willing his way onto the team by his play at the Prospects Tournament in Traverse City, MI. Unfortunately, Peters also had to deal with the attitude of one Alexander Semin, who for reasons even he could not articulate, just stopped trying. Peters benched Semin and talked publicly about his lack of effort. But, at the end of the day, nothing got through to what many acknowledge as one of the most talented hockey players ever to lace up skates in the NHL. What more could anyone say? Peters had one of the best talents in the game who decided he didn’t want to play anymore. Along the way, Peters, who coached defense for Mike Babcock with the Detroit Red Wings, was tasked with getting a bunch of defensemen who were mostly very young and inexperienced to play the game well. Names like Justin Faulk, Noah Hanifin, Jaccob Slavin and Brett Pesce became the foundation of Peters’ defense. There is no argument that it was the best part of his influence on the Hurricanes. Faulk, a three-time NHL All-Star, was the anchor, but Slavin and Pesce became touted as two of the league’s best. Who’s That Darling Goalie Coach Peters? Without question, Peters was hamstrung in between the pipes. While Cam Ward was a serviceable veteran who held his spot for over a decade, there was never anyone brought in that Peters could look to beyond Ward. Anton Khudobin was probably the best of the trio including he, Eddie Lack and Scott Darling. Could anyone have made the playoffs with Darling, who admitted he came to camp out of shape and unprepared? Peters also was never given the type of scoring forward that the team needed. After trading Eric Staal, dealing with injuries to Jordan Staal and Skinner, the well needed replenishing. But, neither Francis nor Karmanos were unwilling to deal on a level that would make the Hurricanes a legitimate playoff contender. In the offseason of 2018, Peters realized he was in a great position. With new Hurricanes owner Tom Dundon naming Don Waddell the team’s general manager as Francis’ replacement – Dundon had summarily dismissed Francis from those duties, Peters was facing a whole new dynamic. Rather than give control of his future to others, Peters exercised a provision in his contract that allowed him to walk after the fourth year of his five-year deal. He did, taking the head coaching job with the Flames. He was going home to Canada, and from the moment his hiring with the Flames was announced, it felt right. The Alberta-bred Peters — born in Three Hills, raised in Killam and with most of his family now in Red Deer — could have returned for a fifth campaign in Carolina but instead opted out of his contract after an ownership change. He was the only candidate that Treliving interviewed for the job. Yes, there were pundits who questioned giving him another gig after going 0-4 for the playoffs with the Hurricanes. 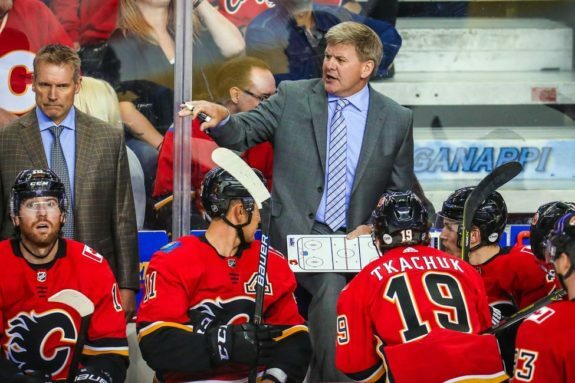 But Flames GM Brad Treliving had a previous relationship with Peters and wasted no time in offering him the job after he fired Glen Gulutzan. 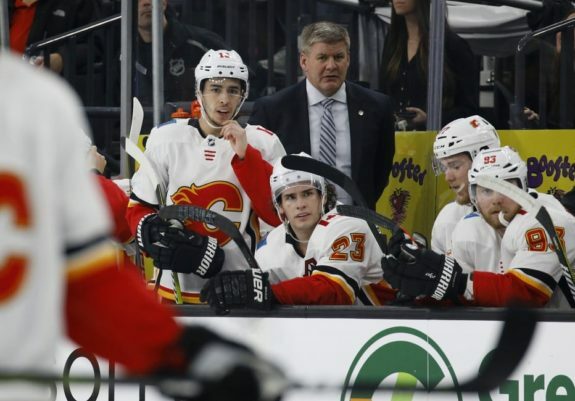 Gulutzan had the Flames in the playoffs two years ago and were headed that way again in 2018 when injuries derailed the team’s chances. Nevertheless, Treliving jumped at the chance to hire Peters. Bill Peters has gotta be the front runner for the Jack Adams, and Giordano for the Norris right? So here are the Peters-led Flames. Granted they are loaded. But that in no way takes away from the fact that they needed a coach who could guide them back to the playoffs and they have that in Peters. We will see how well that guidance will do this Thursday night when the Flames host the Colorado Avalanche. Whether or not the Flames win the Stanley Cup Playoffs, Peters has proven the naysaying pundits wrong. He’s proven he is a good coach and well-deserving of any accolades that come his way.